If you missed last week’s introduction to THE HERO’S JOURNEY – PART 1, click here. In honor of my bi–annual Shamanic Yoga Pilgrimage into the heart of the Peruvian Andes and Machu Picchu, I’m offering this blog series on THE HERO’S JOURNEY – one of the great tools for understanding the universal challenges of life. Click here for details on my pilgrimage based on THE HERO’S JOURNEY. Facing the challenges that life inevitably brings, slaying our own demons and stepping up into the ultimate call of our Soul – otherwise known as “The Call”. What is the deepest yearning? What is that still, small voice nagging inside your heart? What do you most fear? Courageously moving in the direction of your dreams is to answer the call to adventure. It is a nearly universal to resist “The Call”. It is scary and worrisome to step forward into the unknown. You can take great comfort in knowing that your psyche, your ego and your rational mind will definitely resist the yearning of your deepest calling. Fear, doubt, insecurity, a sense of inadequacy will arise. You know you have heard the call if you hesitate. This is a natural evolutionary step. Embrace it. The magic sparks immediately upon taking the leap of faith and diving into the next right action towards your truth. Practice courage. Follow the yellow brick road. Or as Nike (the Greek winged goddess of victory) says….JUST DO IT! In all myths, legends and stories….when the hero/ine answers “the Call”…tools, new skills, benevolent spirit guides (daemons) inevitably arrive. They may show up in the form of a blast of creative inspiration, a dream, an image or “Ah-ha” moment in meditation, a new teacher, mentor or a random validating comment on your blog. Take heed and comfort in knowing that you will be supported and immediately activate powers you never knew you had. New skill sets will constellate. The right people will begin to show up in your life. Opportunities will unfold that you could never have imagined. 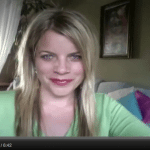 Great Videos Ashley, I am so glad I discovered your page and your teachings! I have been in need of connecting with more like-minded people, thanks to the Universe for answering my call with your videos and website! I am on my own hero’s journey and an amazing one it has been!!! After 5 years of saying I was going to live in a tropical paradise outside the US, a year and a half ago I finally made the leap, sold all my things and moved to an Island in the Caribbean! I experienced all of these crazy emotions and most of all the AMAZINGNESS of the universe providing when I followed my heart. Now, that I have come this far, with many highs and lows along the way, I am dealing with what to DREAM of next. Again, I am ready to move on and continue my path of self-discovery. In this moment, I am filled with fear all over again, but this time it’s based on the comparison that it could never feel as good as it did this first time. Though I know that through my Yoga practice, both on and off the mat, I will find the stregnth to follow my bliss, my heart and my passions. Thank you for your support, Ashley! BEAUTIFUL!! well said!! thanks!! Love it. Many years ago, a woman stepped forward and befriended me when I needed a friend. She guided me into her friendship and it was from her I learned how to be a true friend to other women. She blessed me with her special friendship and love. I have been on my own Hero’s Journey since 2005. I discovered I am a healer. It is wonderful to get confirmation/terminology to what I have been experiencing from your videos. I can not wait to see what is next in my life. I do so wish I could be on your Peru hero’s journey adventure, maybe this will work out for me. The universe will let me know. You have helped me in more ways then you may ever know. Thank you for your kindness and support. You are a True Spirit Guide! Thank you for sharing this. You have been one of my teachers on my journey and I am so grateful for the work that you do. It is amazing how letting go of resistance and listening to spirit not only opens doors but, allows magical experiences to come rushing in. Peace, love and many blessings to you! Perfect timing, shakti goddess. I’m in the air and need to leap again before I even land. Thanks for putting up this video. I wanted to point out that it’s not always a negative call such as “a relationship ending” or “watching a parent dying,” it can be just a fearful to see a relationship that must change to grow and answer the call to recommit, reinvent and value what you have. I went through this last year and the same thing happend. I tried to refuse by clinging to my expectations and control over my marriage. When I asnwered the call, new opportunities opened from my spouse, friends stepped forward in support of our recommitment to keep our bond. I just felt like sharing this because we all can feel very confused especially when big callings come along. Even watching our parents who are older exploring new ambitions, can be disconcerting. It’s like you always say we must accept everyone and everything for what or who they are. Continuing to trust our intuition.